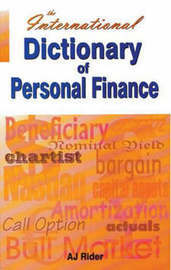 This dictionary provides a basic vocabulary of terms used in the world of personal finance, from Accident insurance to Zeros and from Accrued Benefits to Yield Curve. 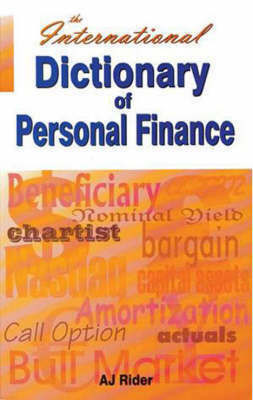 Words used in all areas of personal finance are included, not just those from basic investments, but also from banks and banking, equities (shares, stocks mutual funds / unit trusts, investment trusts) insurance pensions taxation and wills. All words are given a short precise easy to understand definition, often with examples of usage and are linked to other terms in the dictionary. Both British and American usages are included.